The definitive book on iconic cult hero Jeff Buckley, the singer who made just one record but inspired a generation of rock musicians. Written by his manager Dave Lory, Jeff Buckley includes interviews with others who worked closely with him who have never spoken before. "I still can't really wrap my head around the weight of Dave Lory's commitment to chronicling his time managing Jeff Buckley, to recount the wonder of Buckley's life and the tragic depth of his loss in heartfelt, sometimes humorous and often devastating detail. Lory's book and his openess to sharing stories from it, are a gift to those of us fans craving as many morsels of Jeff Buckley's otherworldly essence as there are left on this earth." "In Jeff Buckley: From Hallelujah to the Last Goodbye, Jeff Buckley is remembered as a key voice of that decade. Jeff's manager, Dave Lory opens up about his client for the first time in his new book. Lory writes of a conflicted artist who never craved the success he achieved. Lory's remembrance of Buckley's rise is as much a tale of the singer-songwriter's life as it is about the artist manager relationship. There's only one Jeff Buckley." "Here's the bottom line: if you love Jeff Buckley's music, and if loving his music has made you love him, get Jeff Buckley: From Hallelujah to the Last Goodbye. There are great stories in this book, and you need to hear them. Sit down for an evening or two or three, read it, and enjoy the ride. It's sad at the end, but you already knew that. If you live Jeff Buckley, you're going to want to read it anyway." "Dave Lory's journey with Jeff Buckley is recounted in his new bio, and from their first meeting to their last goodbye it is gripping. This is a must read for anyone who loved Buckley and for any artist that believes in their own art as he did." "Nearly 40 pages of oral history usher us in, but it's the following diary-styled tour chapters that prove the most illuminating... All in all, more light is shone on a career that was all too fleeting." "It's a heartfelt, if disjointed book, refreshingly reluctant to mythologize, styled as an intimate portrait of 44 months of triumph, failure, hysterical laughter, blazing row, schemes, dreams and deepening friendship... the best part of the book, a steep learning curve full of intimacies shared during late nights on the highway and greasy motel breakfasts." "Music business veteran Dave Lory is well-placed to shed new light on the short, incandescent life of his subject. His heartfelt, eminently readable book with British writer Jim Irvin certainly does so... Buckley's musical gifts were near superhuman. When it comes, Lory's account of how he heard about his charge's drowning is both masterful and moving." 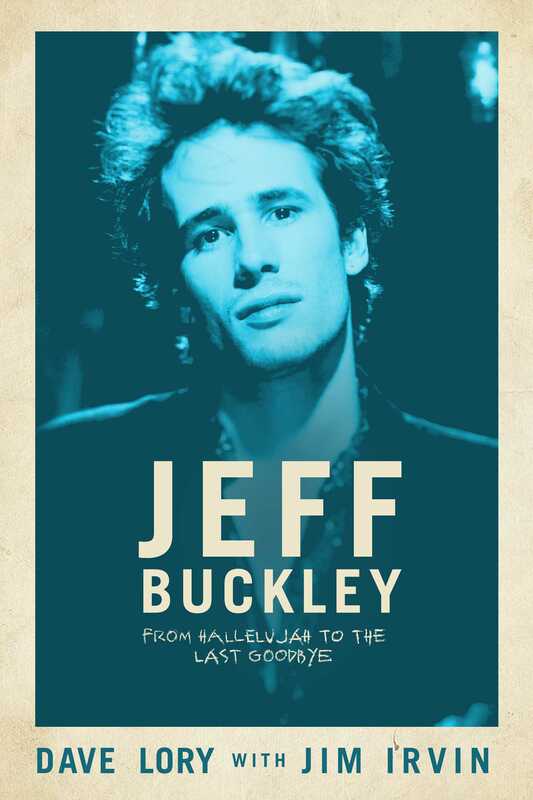 "21 years after Buckley's death, Lory has finally shared both modest and emotionally raw details that encapsulated their relationship in his new book, Jeff Buckley: From Hallelujah to The Last Goodbye."